Founded in 1968 and located in Fenton, Missouri, SIM Surgical has emerged as a leading provider of contract manufacturing solutions for customers in search of the best medical device manufacturer. SIM Surgical was built on a new, tailor-made business model with contract-manufacturing in mind – one based on hand craftsmanship and innovation supported by production processes designed to move your instruments or devices from concept to volume production in a fast and cost-effective manner. Strive to be the primary manufacturing resource for innovative companies who want to quickly transform their ideas for surgical instruments and implants from concept to full-scale market production while meeting or exceeding industry delivery standards.  SIM will listen to the surgical community and respond to their needs by producing excellent quality, precision surgical instruments and implants. We will deliver our products on time as expected by our valued customers. We guarantee our quality by refining and controlling our processes from quoting and scheduling to production and final inspection. Our commitment to continuous quality improvement ensures we deliver a repeatable quality product on time. Hiring, training and empowering employees to be the best engineers, craftsmen and machinists in the industry. Placing top priority on the production of quality products. Implementing and maintaining systems and processes for customer service, manufacturing and quality control allowing us to produce repeatable results. SIM Surgical is built on a new business model for contract-manufacturing — one based on hand craftsmanship and innovation supported by production processes designed to move your instruments and implants from concept to volume production in a fast and cost effective manner. Most importantly, we offer our customers the expertise, insight and creativity of the most skilled and knowledgeable people in the medical device manufacturing industry. Our success depends on establishing enduring relationships with our customers and consistently producing high quality products that meet their demanding standards and timetables.